Maruti Suzuki WagonR is one of the top 5 bestselling cars sold in India consistently for the past 10 years while its outstanding sales performance is traced back to its inception. Maruti WagonR sales average stands at 9,756 units, each month over the past 227 months; ever since it was launched in February 2000. Over the past 19 years, the WagonR has stood its ground among the leading best selling cars in the country, featuring each month among the top 5 models on this prestigious list. Maruti Suzuki is now gearing up to launch the next generation WagonR on January 22, which will boast of a new design, better appointed interiors and added safety features. It will also see a marginal increase in price but will continue to hog the limelight to feature among the company’s bestsellers in the country. Maruti Suzuki WagonR, on sale in India for nearly 19 years, has clocked total sales of 22,14,544 units. The company sells an average of 9,754 units each month with the highest volume noted in June 2014 when sales stood at 17,119 units. 2016 saw the highest number of WagonR sold which totaled 1,73,286 units during the January to December period. Launched in 2000, sales of the WagonR were below the 1 lakh mark till 2006. After that year, sales surged past 1 lakh units, rising steadily over the years. Below is a table, detailing the performance of Maruti WagonR sales each year since it was launched in India, along with sales milestone and important highlights on its timeline. 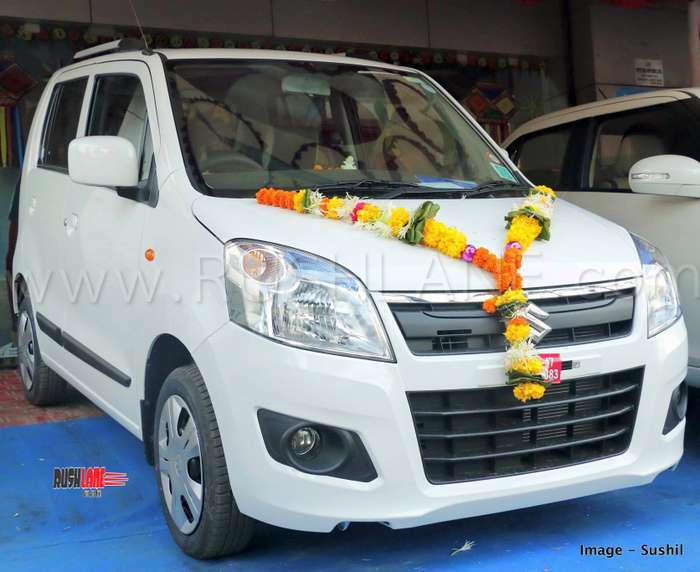 2019 Maruti WagonR, based on the Suzuki’s Heartect platform is slated to be powered by two engine options. The 1.0 liter, 3 cylinder engine will make 68 PS power and 90 Nm torque mated to a 5 speed manual gearbox with AMT. The 1.2 liter engine, 4 cylinder engine, which also powers the Swift, is also on offer with new WagonR. It is mated to a 5 speed manual or 5 speed AMT. New WagonR will continue with its tall boy stance and new features such as black and beige colored interior with steering mounted controls, 7” touchscreen infotainment system and safety features among which are driver airbag, ABS, EBD, seat belt reminder, speed alert system and rear parking sensor as standard. The new WagonR will be priced between Rs.4-5.6 lakhs and will rival the Hyundai Santro, Datsun GO, Tata Tiago and Renault Kwid.